Step into our 51,000 square foot family-friendly entertainment center and have the time of your life! We are open year round and offer activities for people of all ages, including a 6,000 square foot go-kart track, a laser tag room, and an arcade! Hit the jackpot, rack up e-tickets on your play card and head into the walk-in and grab gift store to redeem redemption prizes. The more tickets you score, the bigger the prize! We also offer a sports bar with 19 ping pong tables, a nail salon with six manicure and six pedicure stations and private birthday party rooms available. 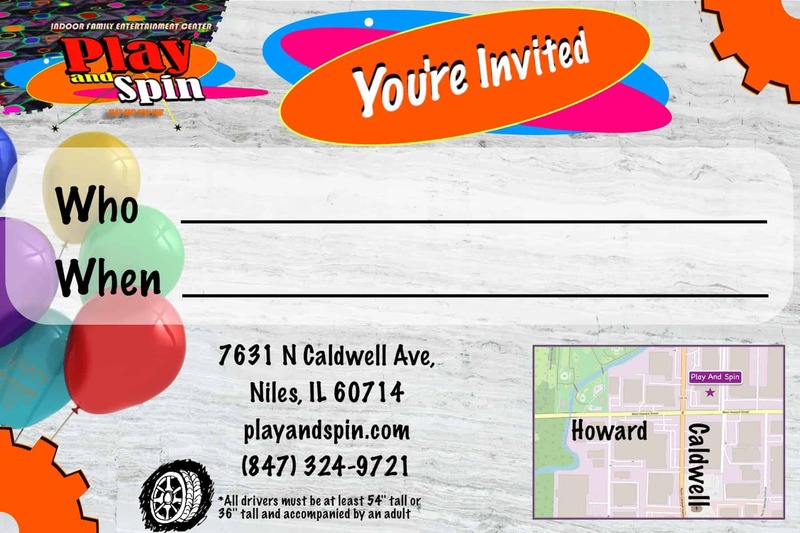 Come join us at Play and Spin, there’s fun for everyone! We host awesome birthday parties, from the smallest ones (5+ people) to the largest ones (195 people). We have yummy food, you can bring your own bakery prepared cakes all the while you are enjoying fun activities for the whole family. Our go karts run on pure joy - race against 7 other drivers on a safe and fun racing track. Everyone 3 years and up (36 inches) is welcomed to ride as a passenger with a 16+ years old driver. Drivers have to be at least 54 inches to ride by themselves. Get your game face on, and we'll supply the balls and paddles! Our table's are open for people of all ages! Get pampered by our exquisite nail technicians at one of the twelve stations available. Treat yourself to a little something while the kids and the rest of the family are having fun.